Update : Version 1.2.6 released ! Crack is out !! 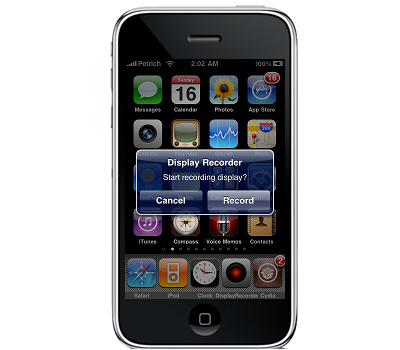 Display Recorder lets record your iPhone display activity and save videos as .avi files you can publish to Youtube within the app or browse from your desktop browser using the built in web server. The app is very complete and full of options: you can setup custom activation gestures, enable OpenGL capture, choose video quality and orientation, enable taps and adjust the framerate. 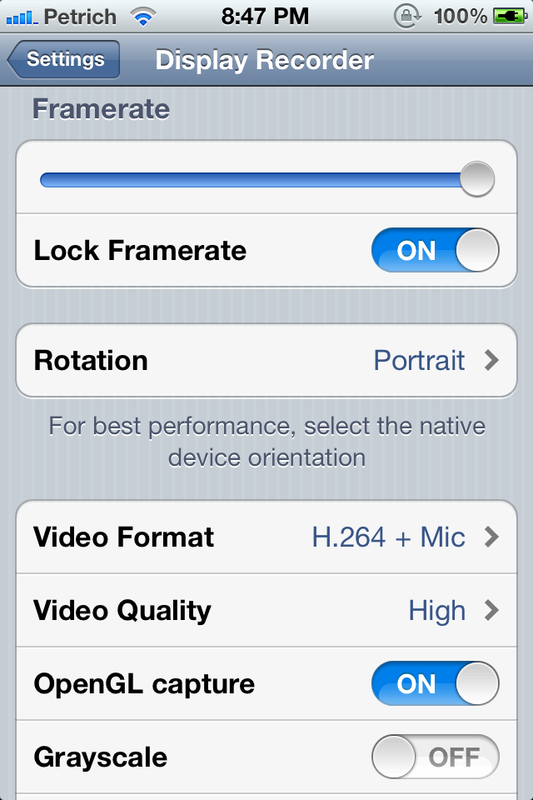 You can setup all these preferences from the Display Recorder tab in Settings.app. The videos are in the directory: / User / Library / Keyboard / DisplayRecorder and you can upload it to YouTube Directly application, display Recorder . In the application down below will appear in more than a URL to be able to see and download videos from your PC, just by the WebServer.